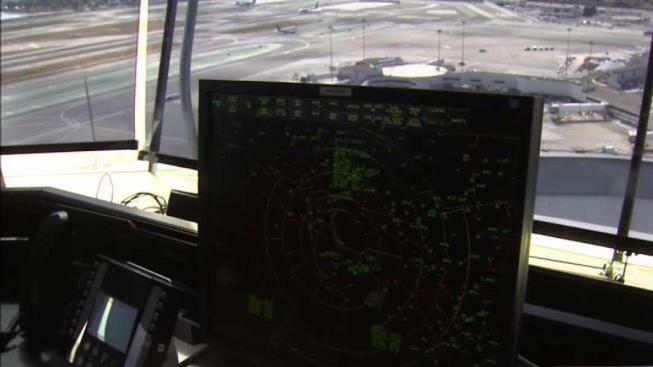 President Donald Trump is pushing an ambitious plan to privatize air traffic control, which he said will modernize a system reliant on decades-old technology and reduce delays for the flying public. Sources who spoke to NBC Bay Area said the plan could help provide a more reliable funding source for air traffic control but worry nearly one-third of the country’s certified controllers could opt to retire with little warning if they don’t like what they see. That could cripple an industry already facing major labor shortages. “Today we’re proposing to take American air travel in the future – finally, finally,” Trump said standing in front of transportation officials and airline executives. “After billions and billions of tax dollars spent and the many years of delays, we’re still stuck with an ancient, broken, antiquated, horrible system that doesn’t work,” Trump said. The idea to privatize air traffic control is not new, according to sources in the aviation industry. It’s been kicked around the halls of Washington for decades as a way of taking air traffic control out of Congress’s hands, which currently funds the system each year. Aviation sources say privatization could help with that, but they also urge caution. The union wants its workforce protected from salary and pension cuts, and the president’s plan could run into trouble if air traffic controllers don’t like what they see. Bay Area NATCA representative Scott Conde told NBC Bay Area last fall there’s already a critical shortage of air traffic controllers. But sources tell the Investigative Unit staffing shortages could get even worse if privatization threatens the pay or pensions of controllers. Nearly a third of all certified controllers are eligible to retire right now and could leave with very little notice, which would likely cripple the nation’s aviation system. Some critics, such as the advocacy group In the Public Interest, called the plan a corporate giveaway that would cede control to the large commercial airlines. Executives from many commercial airlines, including United, Hawaiian, American and Southwest, were on hand for Trump’s announcement and support his privatization plan. Delta Airlines, however, opposes the privatization of air traffic control. In a 2016 study, the company argued privatization would lead to price hikes for the public. The Government Accountability Office also released a study in 2016 looking at the potential impact of privatizing air traffic control. The report found there needs to be a more stable funding structure for air traffic control than currently exists but also could not guarantee that a private corporation would speed up efforts to modernize the nation’s current system. The study also warned a private system would need to be able to effectively collaborate with the Department of Defense on issues of national security.